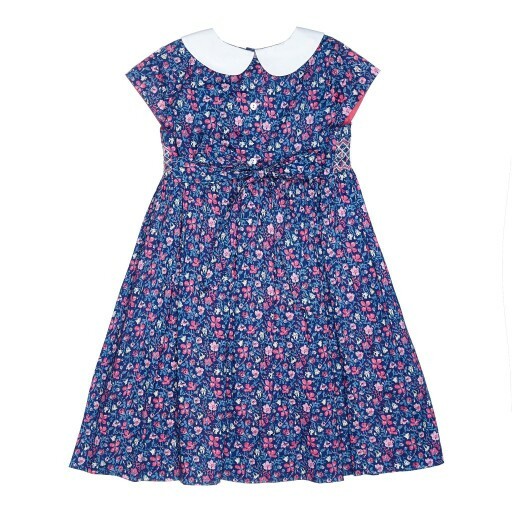 This sweet cap sleeved dress is fairy tale perfect with its contrast white collar and delicate hand smocking. 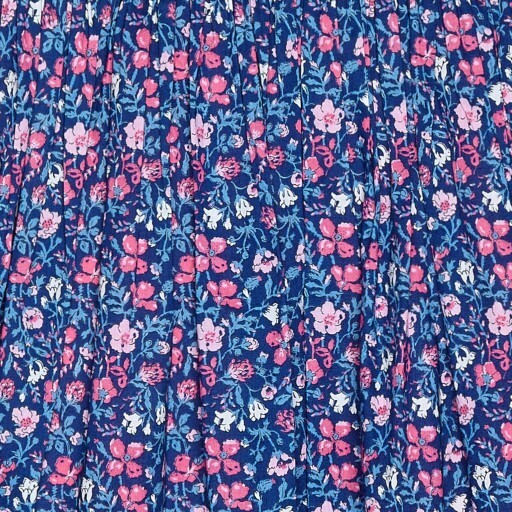 We love the classic ditsy floral print in dreamy twilight shades, perfect for flying away to Neverland with Peter and Tink. 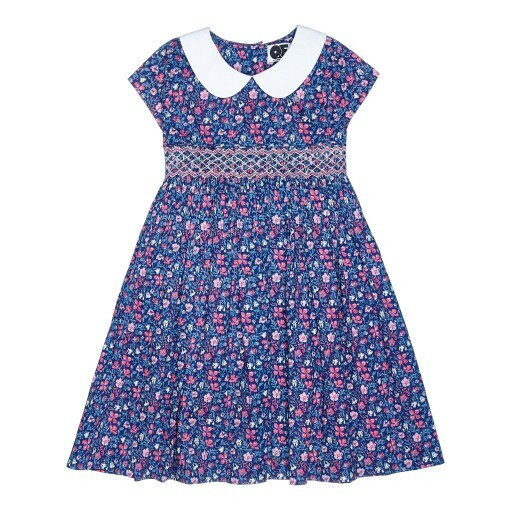 For the full effect style it with white tights and a powder blue Alice band. A dream come true!